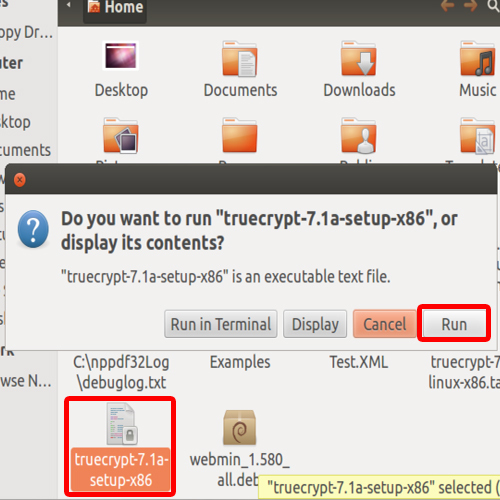 So let us get started on how to install TrueCrypt in Ubuntu. 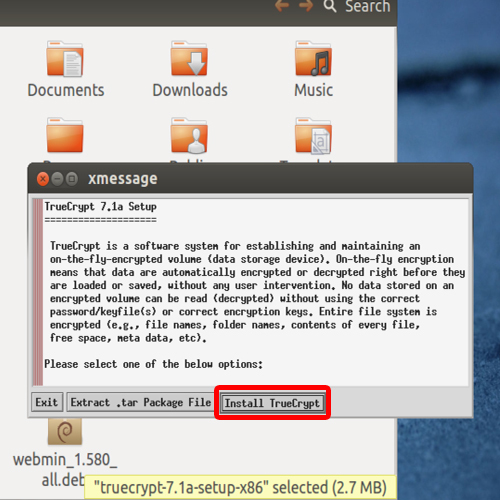 First of all, open up the browser and log on to “truecrypt.org/downloads”. Move to the Linux section, choose the package according to your requirements and click on the “Download” button. 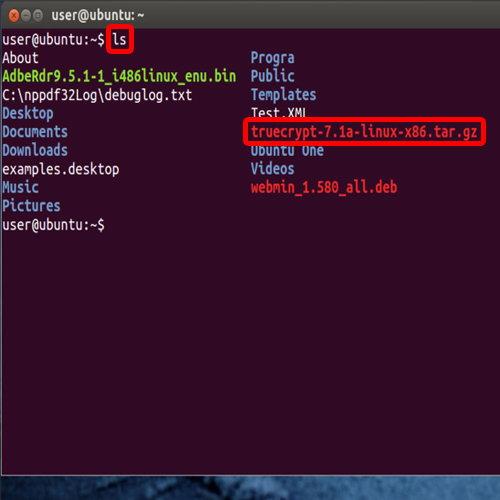 Now, let’s open up the terminal application and use the “ls” command to view the list of files in the current directly. Over here, you can see the TrueCrypt file that we have just downloaded. 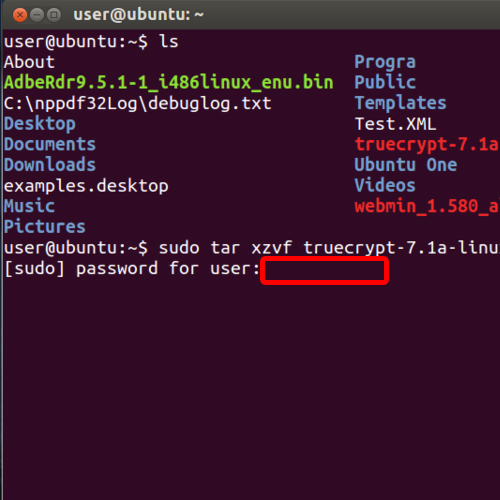 “sudo tar xzvf truecrypt-7.1a-linux-x86.tar.gz. 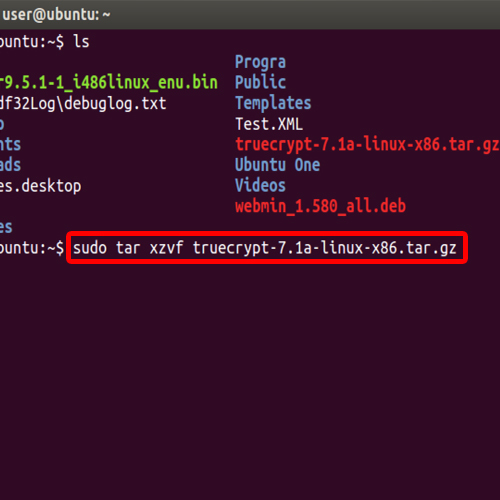 “tar xzvf” is used for uncompressing archives. Once you hit the “enter” key, you will be prompted to type in your password to continue further. Now let’s exit the terminal and open up the home folder. Over here, double click on the setup file and choose “Run” once the pop up window appears on the screen. With that done, the installation window will open up. 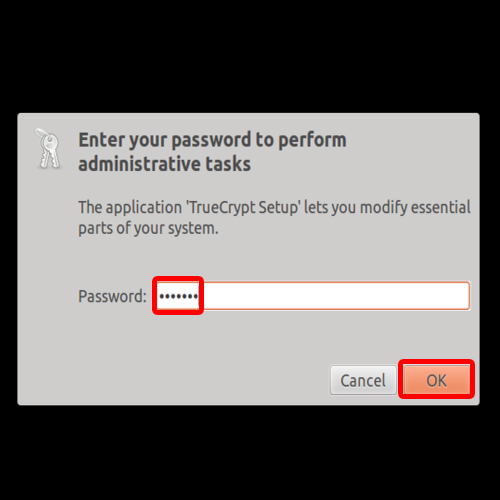 Over here, simply click on the “Install TrueCrypt” button to install truecrypt. 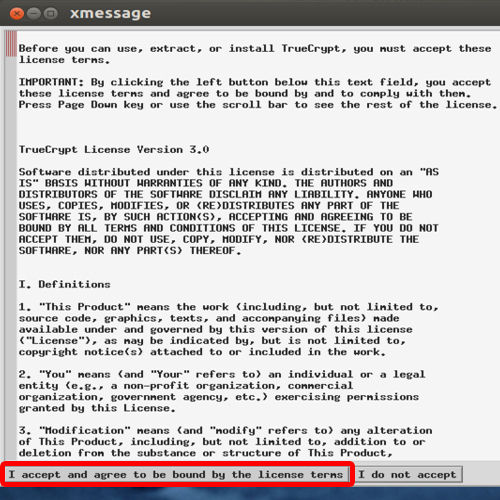 In the next step, you will be required to agree to the license & terms and agreement. With that done, you will move to the next step. 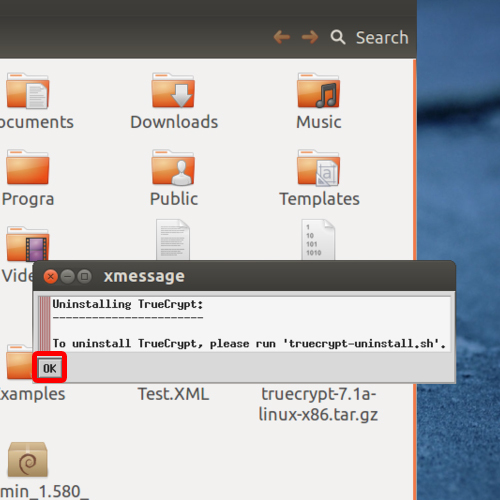 Over there, you will be notified on how to uninstall TrueCrypt. Simply click on the OK button to continue with the process. With that done, you will be required to input the root password to continue with the installation. Now you will see the command shell displaying the installation detail. Once the process is completed, simply hit “Enter” to exit. 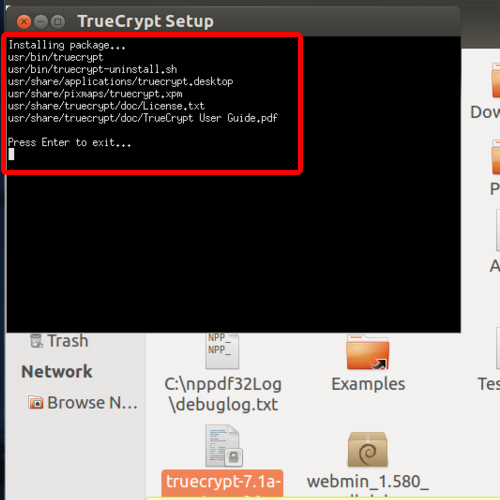 Now let’s go to the Dash and search for TrueCrypt. 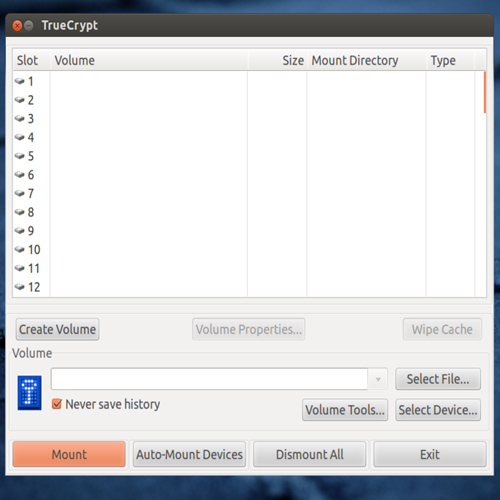 From the results, simply click on the TrueCrypt icon to open up the application. The application has been successfully installed.